Happy birthday to the coolest cat around - Mike VI! 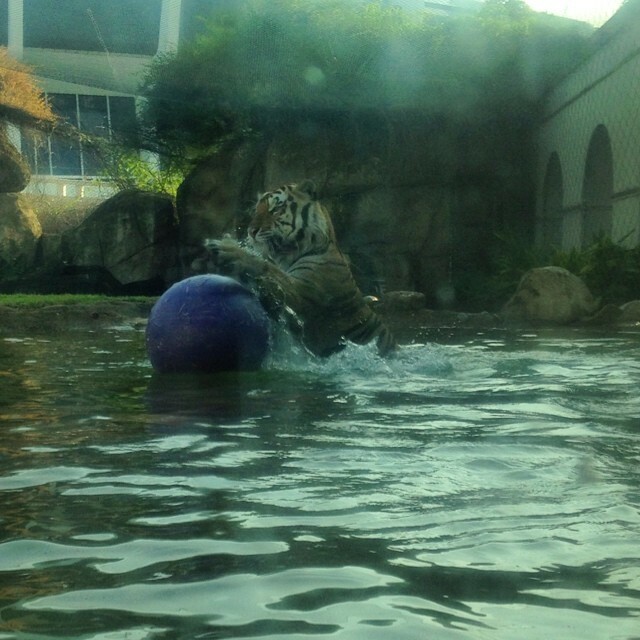 LSU&apos;s Mike the Tiger turns nine years old today, and we are so happy for him! He&apos;s so beautiful, adorable and friendly that students, fans and even Tiger foes love him. 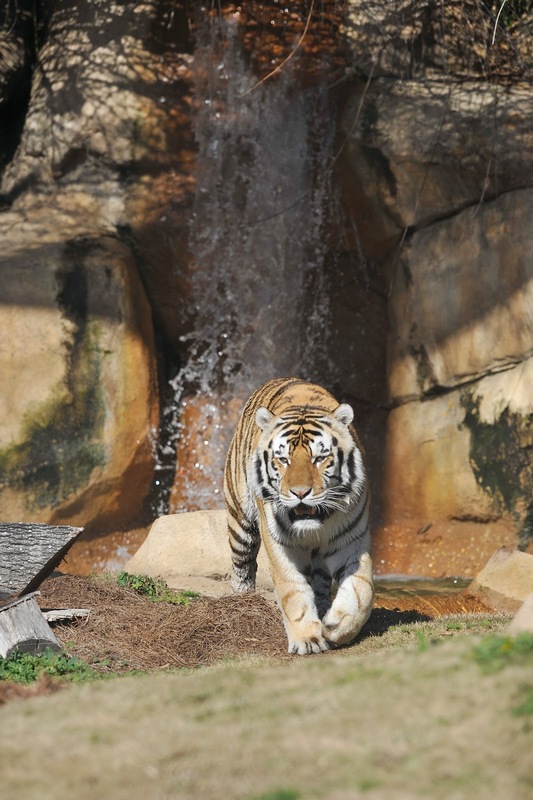 Below are nine things you should know about Mike VI before visiting him in Baton Rouge. 1. Mike is a Bengal-Siberian mix tiger. 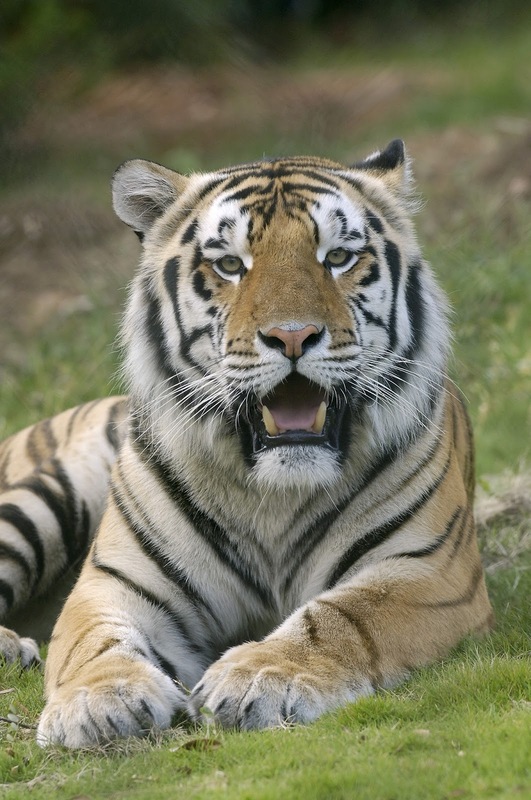 LSU&apos;s teams might have the nickname of the Bayou Bengals, but Mike VI is actually part-Siberian. 2. Mike is the only live tiger mascot in the nation. Many other colleges claim they are the tigers, but only LSU has a live tiger mascot living on campus. 3. Mike was donated by the Great Cats of Indiana. According to LSUsports.net, the Great Cats of Indiana is "a nonprofit sanctuary and rescue facility for big cats and other large carnivores." The U.S. Department of Agriculture also agreed that Great Cats of Indiana is a reputable and humane conservatory, a perfect place to find Mike VI. 4. Mike greets opponents outside the visiting team&apos;s locker room. During LSU&apos;s home football games, Mike takes a ride in his trailer around Tiger Stadium. When he completes his route, Mike parks right outside the opponent&apos;s locker room. What an intimidating a warm welcome! 5. Mike is the boss. 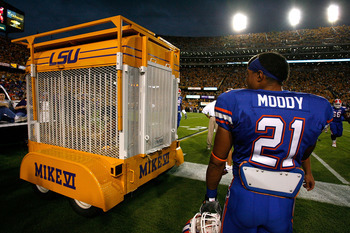 Though Mike usually enjoys visiting his adoring fans in Tiger Stadium, he is never forced or tricked into his trailer. Mike is the boss, and he decides if he wants to see the football game. 6. Mike has two student caretakers. All LSU students claim Mike is their favorite cat, but only two students have the honor of being Mike&apos;s caretakers. Dr. David G. Baker, LSU School of Veterinary Medicine director of the division of laboratory animal medicine, selects a pair of second-year veterinary students every two years to be on call 24/7/365 to tend to Mike. 7. Mike&apos;s favorite toy is a Boomer Ball. When Mike is in an active and playful mood, you can catch him playing with his Boomer Ball, an incredibly strong plastic ball created specifically for large animals. 8. Mike weighs 440 pounds. A big cat indeed! Mike VI weighs in around 440 pounds. 9. Mike&apos;s home is 15,000-square-feet large. Mike&apos;s Habitat is built for a king. You can find Mike napping in the shade of a huge live oak, or taking a swim in his waterfall and pool. During inclement weather or when his yard needs sprucing, Mike stays safe in his air conditioned night house. You can visit Mike VI at his habitat on LSU&apos;s campus at the corner of North Stadium and West Stadium Roads. Mike loves his fans, so follow him on Twitter, Instagram and Facebook to find out more about the best tiger in the world.